Being a successful bounty hunter in the Star Wars galaxy sounds like tough work. Not only could your target end up being a particularly irate Wookie, or have a pack of vicious gundarks guarding their hideout, but at some point you'll probably have to deal with other mercenaries, too. There's no second place prize for bounty hunting, after all. If you run into the master hunter Jango Fett, though, we recommend just getting out of his way. And maybe apologizing for bothering him. When you're dressing up as a legendary intergalactic gun-for-hire, you'd better have the right headgear for the job! 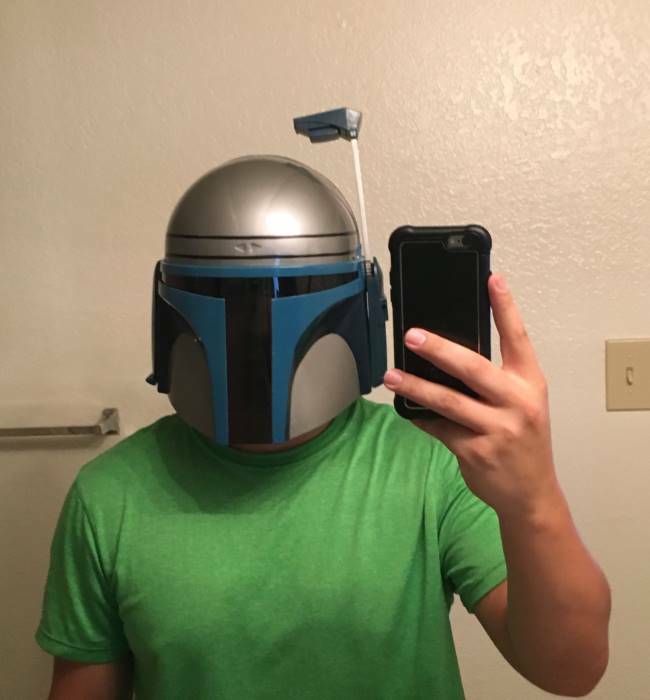 This officially licensed Deluxe Jango Fett Helmet is perfect for your Mandalorian mercenary costume, and will keep any amateur league bounty hunters out of your way. 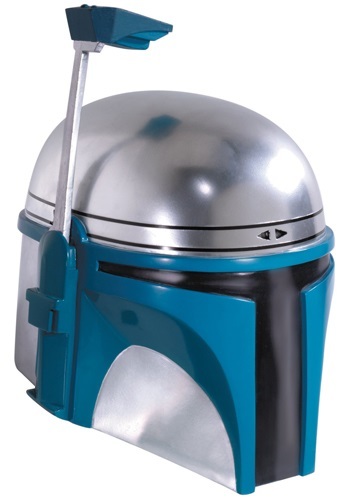 The molded plastic full head helmet looks just like the one Jango wears in Attack of the Clones, and features a see-thru visor and detachable targeting antenna. Bounty hunting is tough, but when you're wearing this wicked helmet, it'll be just another day on the job! product is just as described, fits just right for a adult. I love it. Great for Halloween or cosplay.